The challenge in Jaigaon- A perspective of a Swedish Film Maker. 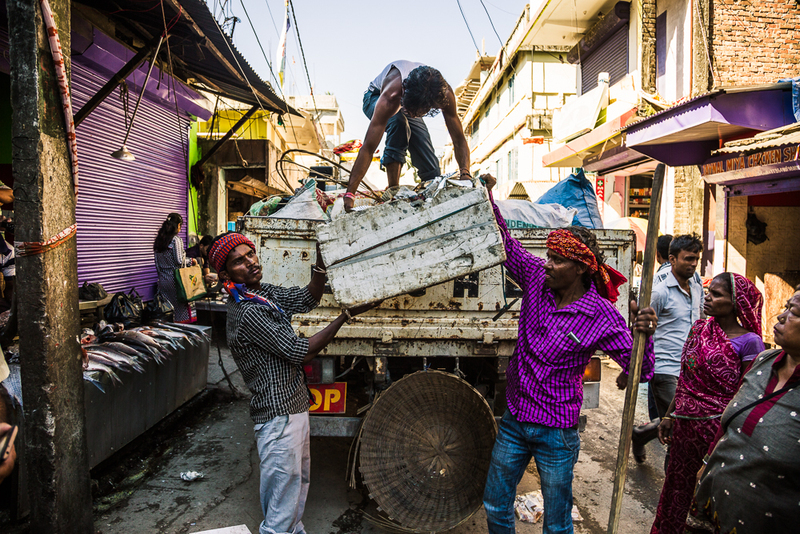 In West Bengal, India, the town of Jaigaon faces big challenges. 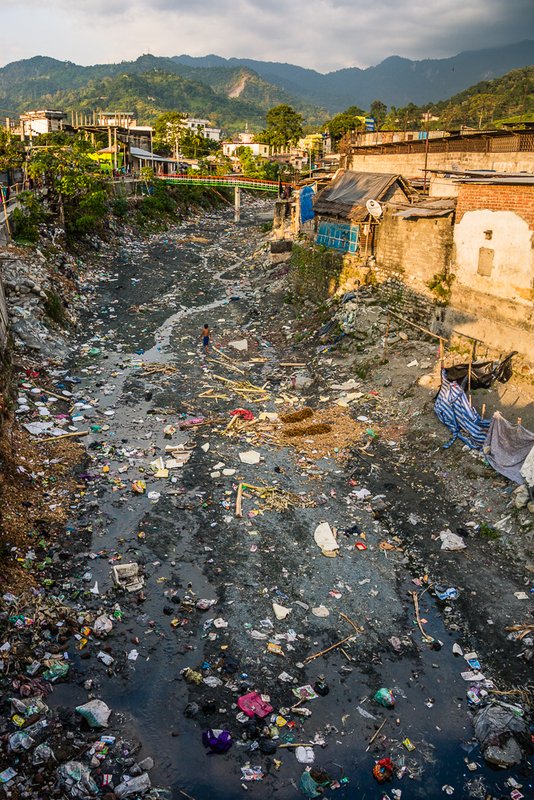 Among them, massive littering and serious solid waste management problems. How many of the citizens care about the situation and is the will strong enough to solve the problems? A begging child follows me as I walk the busy streets in this relatively small town, avoiding poo and stumbling on trash. The bypassing trafﬁc is an orchestra of constant honking and across the street, some cows ruminate in one of the driving lanes. 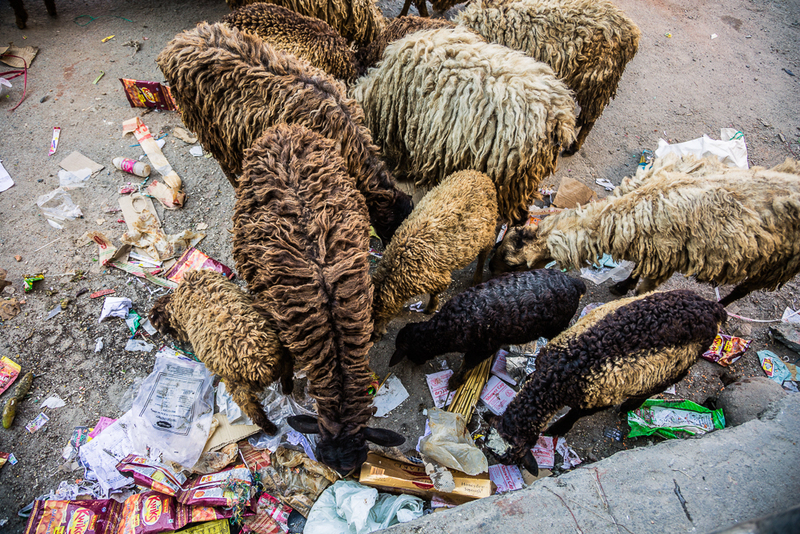 Next, to me, there is a group of sheep searching for leftovers among the litter. I make my way into one of the many kiosks to buy some water. The cashier looks a bit surprised when he sees me, not used to meet westerners. The look in his eyes tells me he is tired, but his curiosity makes him ask where I am from. “Sweden” I happily answered, “It’s in the northern part of Europe”, I continue. He replies with an insecure “ok” and looks confused. I pay for the water and walk back out in the burning sun. If he knew about Sweden remains unknown. It’s November and even though the “colder” period is coming, the temperature is around 28 degrees centigrade. I ﬁnish my water and start to look for a bin to get rid of the bottle. Funny enough I don’t manage to ﬁnd a single one, looking like the confused tourist I am. 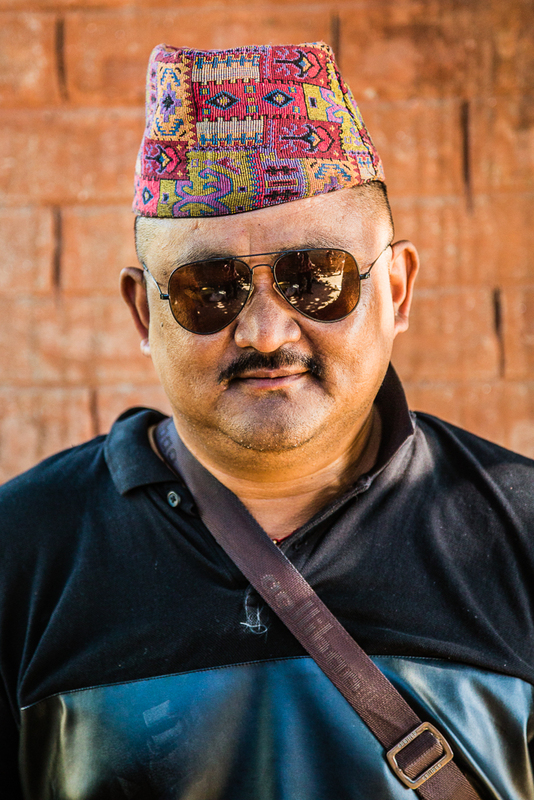 I meet up with my local guide Ramkumar Lama, a well-dressed man who speaks eights different languages. He is going to trek with me in the hills later on, and I ask where I should put the bottle. “Put it here and eventually someone will pick it up”, he replies while pointing at the sidewalk. I put it on the ground. It feels wrong. In Jaigaon, there are no bins. Trash from stores and residences are thrown out on the streets, not even put in bags. In some areas, they put the trash in piles and try to burn it. In the alleys, the smell of burned plastic tickles my nostrils. I meet with Sudhir Moktan, a former Gurkha warrior who gives me an impression of pure kindness and goodwill. He is the front ﬁgure of Green Revolution, a non-proﬁt social organization with the aim to tackle the issues related to the solid waste management in Jaigaon. 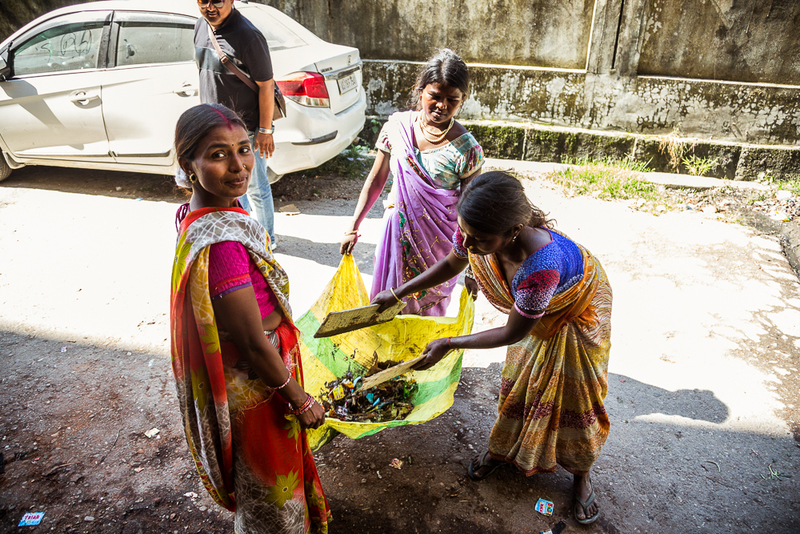 Among many things, they arrange cleaning days, when they pick up all the trash in the streets. Mr Moktan is considered a high proﬁle man by the locals, as he also works with solving different social issues. We go for a walk together and he shows me around town. I can feel how the attention is drawn to us. We go through narrow alleys with barbed wire walls, passing by small shops and end up at the gate to Bhutan. Jaigaon is actually one of those few cities having a road into Bhutan. There is heavy trafﬁc through the gate and on the other side, the streets are completely clean. A striking contrast. Among all the rubbish on the streets, I keep seeing these pill charts here and there. Mr Moktan explains it’s some medicine that people use as drugs and I also learn about the alcohol issues in this town. As we pass by a hardware store, a young man opens a conversation with us. He expresses his disappointment of the cleaning outside the building, as stores and hotels pay a certain fee every month to Green Revolution to tidy up the nearby streets. The fee should cover some salary for the workers and at this time, there are 13 people trying to cover the whole of Jaigaon. As the discussion goes on, I am puzzled by the minimal effort the people working at the stores do to help the cleaning process. The rubbish is not really neatly tied in bags, not even put in bins or buckets, which would have been easy to collect and make the town look a lot tidier while waiting for someone to pick it up. Mr. Moktan tells me that one solution to the situation could be to start to separate at the source. If you could reuse material, people might be motivated to collect trashes as it could be proﬁtable for them in a recycling industry. The next day I’m informed that some department of the Indian government had phoned Mr. Moktan and asked what we were doing. Apparently, they had been surveying every step I made since I got to town. A westerner carrying two cameras and meeting up with Sudhir Moktan obviously got a bit too suspicious. Together with a tourist group, I visit one of the tea gardens and factories outside the town. It’s impressing to see these women pick leaves at a high frequency. In one of the ﬁelds, we see four men standing on a line, watching the women working. I learn they are some kind of controllers, ensuring that the tea pickers pick leaves in the right lanes. To me, it looks like a one-man job and I get the feeling that these jobs are invented just to keep people engaged. As we go back to Jaigaon it’s hard not to notice all the people along the roads that seem to have nothing to do, many of them basically just sit in the shadow, staring with empty eyes. Back in town, I talk with Mr. Moktan about the government’s involvement in cleaning up the streets, he says that there is very little help regarding the waste management, the government sees it as the region’s responsibility. At the same time, I’m wondering if this could be a great opportunity to employ people. While a close by tea garden can have four controllers in the same spot, basically doing nothing, there is not a single one employed managing the solid waste and that is of an urgent matter. We visit the beach at Torsa River, where much of the trash end up and are buried in the sand. 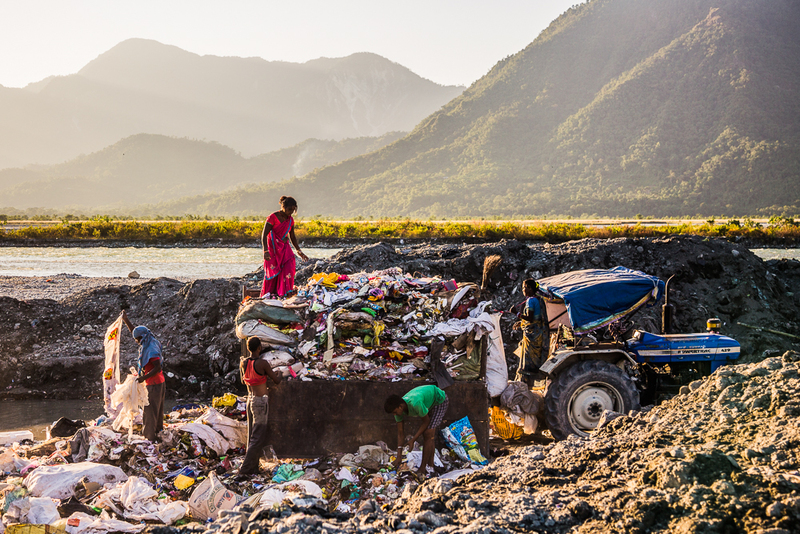 Except for the garbage, it’s a beautiful scenery with the jungle-dressed mountains fading in the sunset. Upstream, there are people bathing and washing clothes, some kids run and play in the sand. One can wonder how the future environment is going to look like for these kids. I look at the mountains, I look at all the garbage. Is there a hope for this place? I glance at Mr. Moktan, he looks conﬁdent. Martin Olson is a Swedish photojournalist, dedicated to giving people new perspectives and ways of seeing the world, hopefully igniting a spark that results in a positive mental state or action. Living in a small town in the Nordic wilderness, Martin often does commercial and documentary work aimed towards the outdoor industry. His biggest passion is to document different cultures in Asia, telling stories with strong impact and depth, while working with clients whose main goals are to create a more sustainable future.